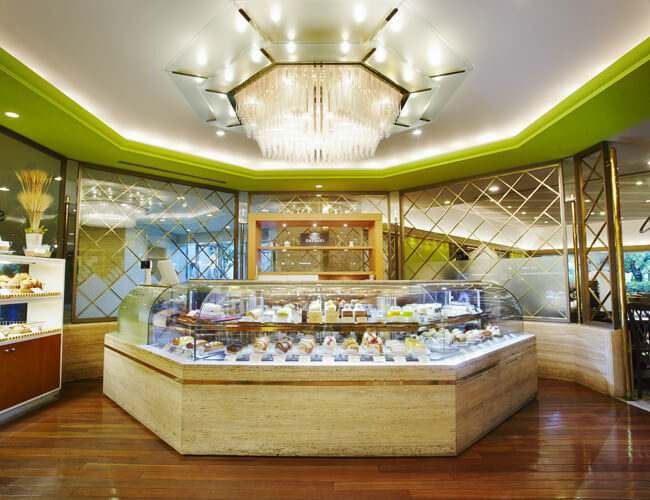 Hotel New Otani Osaka is selling Christmas cakes at “Patisserie SATSUKI” under the theme of “a Christmas where you can eat a full-fledged dessert.” (from the 20th of December 2017 (Wed.) to the 25th (Mon.). Christmas is a time when many people want to spend a gorgeous time by exchanging presents with their boyfriend/girlfriend or family members or enjoying eating dinner at a restaurant. 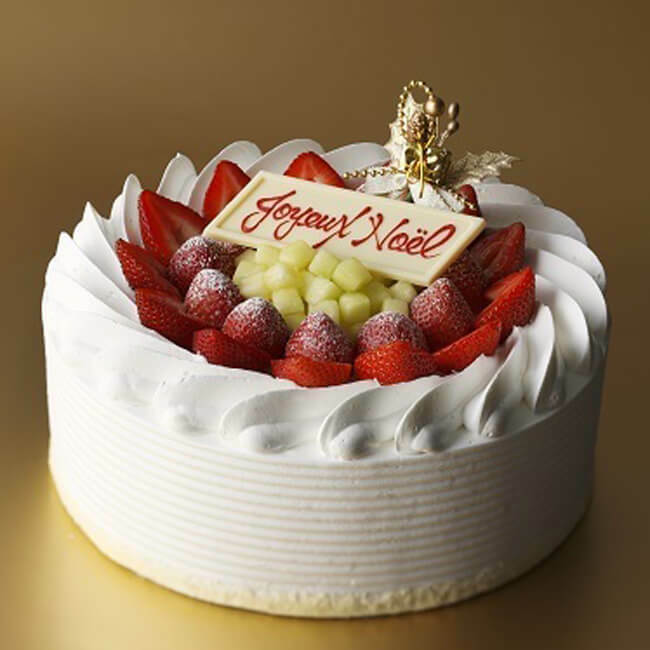 Full-fledged Christmas cakes which are suitable to be eaten during the romantic Christmas season made by skilled patissiers of Hotel New Otani are now being sold. 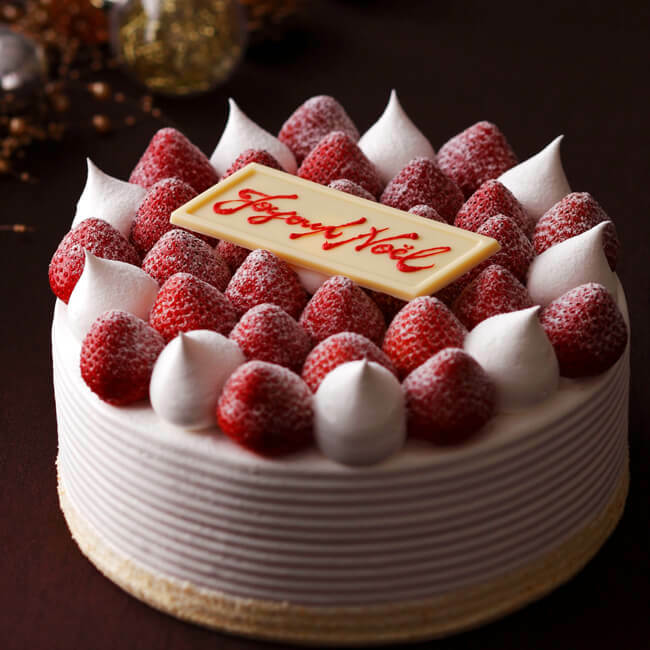 A cake which uses one whole high-quality muskmelon produced in Shizuoka Prefecture and “Amao®,” the king of strawberries produced in Fukuoka Prefecture. A dough made of almond milk and diced strawberry solidified with arrowroot is put inside the three-layered sponge cake so the texture of the cake is very unique. It makes for a perfect gift. 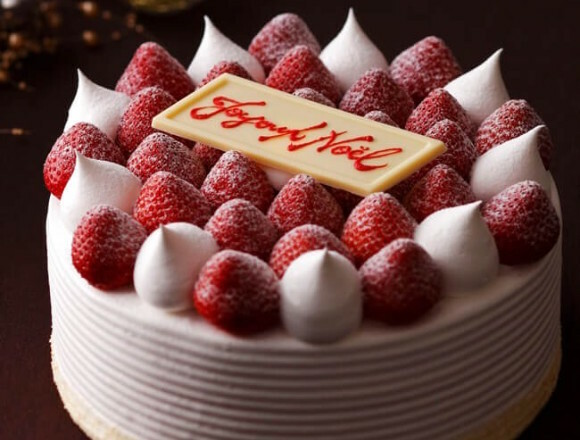 This cake uses strictly selected “Amao®” strawberries produced in Fukuoka Prefecture and almond cream and “wasanbon” (refined Japanese sugar) cream add spice to the flavor of strawberries. A regular short cake includes thinly sliced strawberries, but this short cake uses half-cut big strawberries. Thus, the cake has a juicy flavor and is a gorgeous product that uses lots of strawberries. “Super Christmas Short Cake” uses strictly selected ingredients using a sponge cake made of expensive wheat and castella produced in Nagasaki Prefecture. The strawberries are sandwiched between “wasanbon” sponge cake and sugar sponge cake and the cream produced in Omuta (Kyushu) will makes for a superb texture. 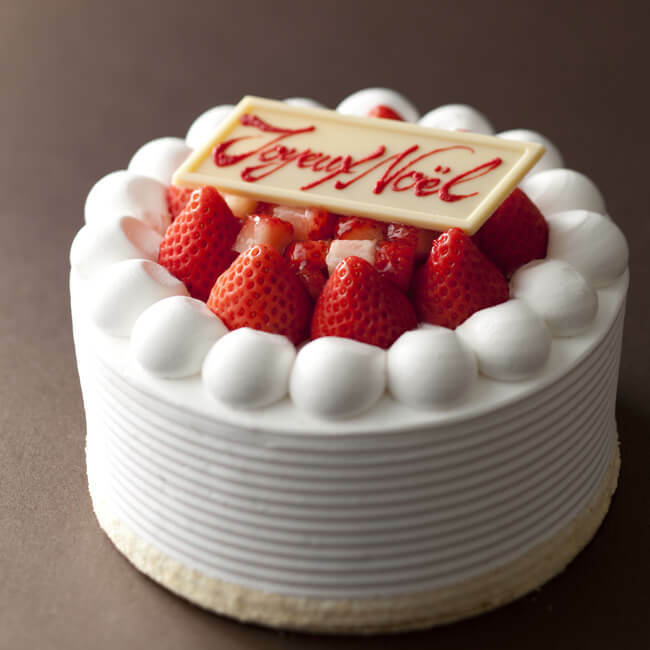 The cake uses the 2L sized “Amao®” strawberries produced in Fukuoka Prefecture and are marinated with natural honey produced in France. Let’s eat this special product which is simple but uses gorgeous ingredients. A gorgeous product where you can enjoy very popular “Super Short Cake” and “Super Melon Short Cake” at once. The product uses the highest quality muskmelon (the price per melon is around 10,000 to 15,000 yen) produced in Shizuoka Prefecture which is known as the area of production. A Christmas dessert which both dessert-lovers and fruit-lovers will love. 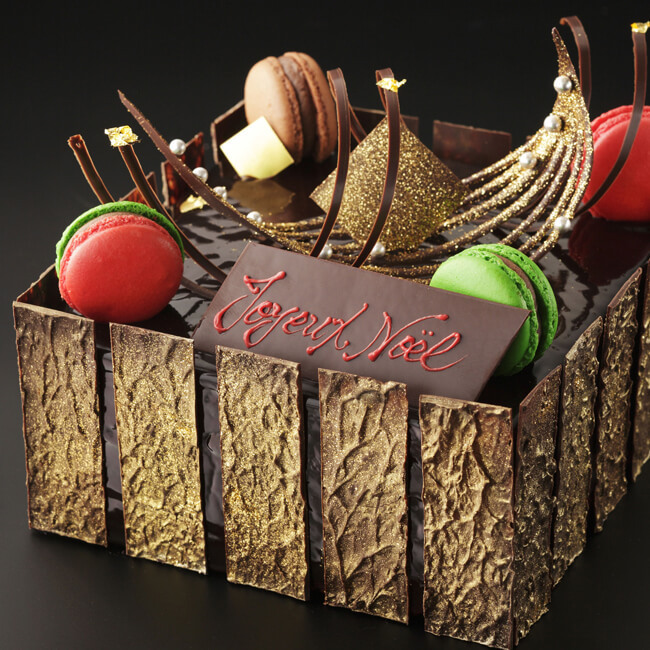 “Super Christmas Opera” is a cake which has fabulous decorations and is made of 14 layers. The height of the cake is 8.5cm and each layer uses different ingredients. The product uses two kinds of butter cream and almonds coated with caramel. The decisive factor of the taste is caramel butter cream and all the ingredients are sandwiched with seven-layered biscuits which has the flavor of espresso. On top of the dark chocolate, high quality, precisely made decorations are placed. It is a cake for adults who love chocolate. 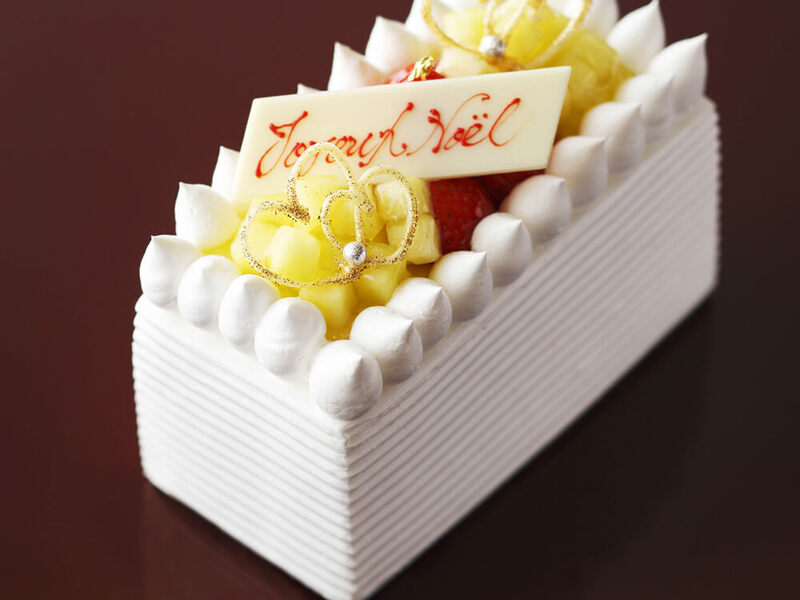 Let’s enjoy a special Christmas with “Hotel New Otani Osaka’s” gorgeous cakes. Reservation period: two days before the day which the product will be shipped.